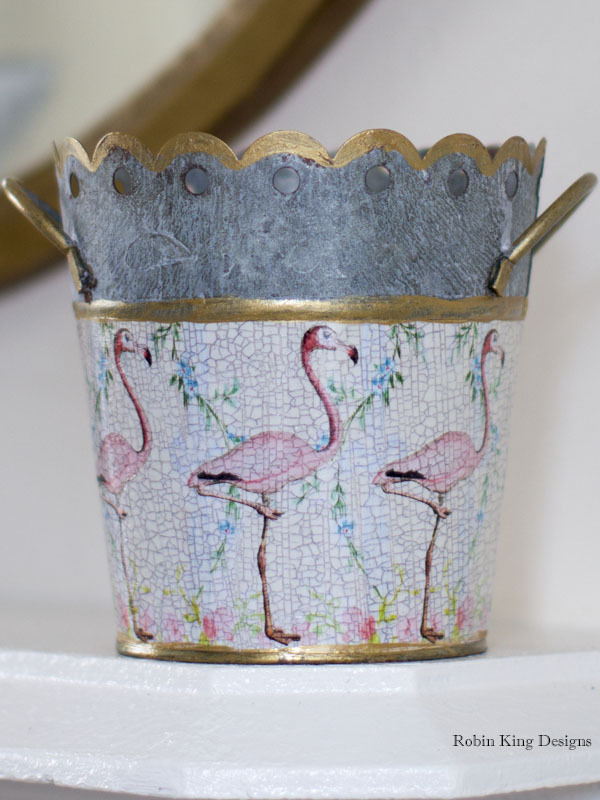 A beautiful scalloped cachepot with endless possibilities. 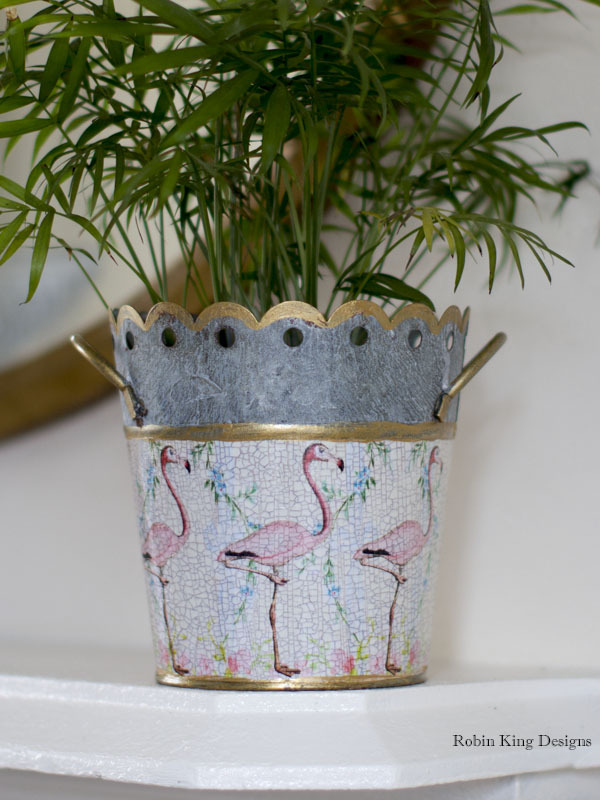 The zinc cachepot stands 6 inches tall and is perfect for plants, soaps, shells, bottles, hand towels and more. The same pattern is on both the front and the back and features my signature crackle design. A beautiful and useful accent for your home.